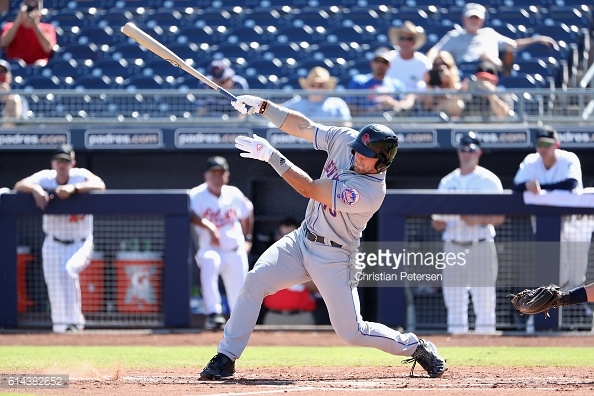 SCOTTSDALE, AZ- Tim Tebow has struggled in his transition into baseball. The former Heisman Trophy winner has hit just .146 (6-41). On Monday, Tebow enjoyed his first walk-off hit for his Scottsdale Scorpions, as he ripped a single down the left field line scoring a teammate for the win against the Mesa Solar Sox. Tebow’s teammates met him at first base to congratulate him on the accomplishment. Tebow was well known in the NFL for his comebacks while playing for the Denver Broncos. Tebow announced in August that he would pursue professional baseball and after a late-August tryout, the New York Mets signed the former Gator.